Ahmed, M. Imthiyaz & Kalathinkal, Riyas (2015). A Study Of Application Of Altman Z Score Model, Intercontinental Journal Of Finance Research Review, Vol. 3, p. 2321-0354. Ahmed, M. Imthiyaz, Kalathinkal, Riyas, Shafi. K & Shareena P.P., (2015). A Comparative Study Of Performance Evaluation Of Co – Operative Bank With Selected Commercial Banks By Using Camel Rating System, Intercontinental Journal Of Finance Research Review, Vol. 3, No. 3, p. 2321-0354. Ahmed, M. Imthiyaz, Kalathinkal, Riyas, Shafi. K & Shareena P.P., (2015). 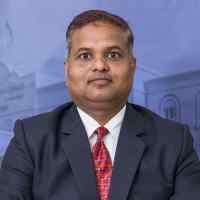 A Study On Investor’s Perception Towards Mutual Fund Selection in India, Intercontinental Journal Of Finance Research Review, Vol. 3, No. 4, p. 2321-0354. Kumar, Suneel; (2015). Influence of spirituality on burnout and job satisfaction: A study of academic professionals in Oman. South Asian Journal of Management. 22(3), 137-175. Priya, S.; (2015). A study on impact of sensitive company announcements on prices of stocks listed at NSE. International journal of business and administration research review. 3(11), pp. 303-311. Ahmed, M. Imthiyaz & Kalathinkal, Riyas (2014). A study on consumer’s perception about life insurance companies in Oman, Intercontinental Journal of Marketing Research Review, Vol. 2, No. 12, p. 2347-1670. Ahmed, M. Imthiyaz & Kalathinkal, Riyas (2014). 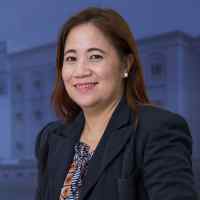 An empirical study on stress management, International Journal of Education and Humanities, APH Publishing Corporation, Vol.3, No.1, p. 177-192. Ahmed, M. Imthiyaz & Kalathinkal, Riyas (2014). A Study on Customer Satisfaction of Hyundai Cars in Oman, Intercontinental Journal of Marketing Management, Vol. 1, No. 5, p. 2350-0891. Ahmed, M. Imthiyaz & Kalathinkal, Riyas (2014). An Analytical Study on Financial Performance using Ratio Analysis Technique, International Journal of Management Research and Review, Vol. 4, No. 12, p.1129-1137. 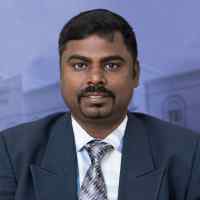 Kalathinkal, Riyas (2014), A study on customer satisfaction of tourism industries in India, Education at the Crossroads, International Journal of Education and Humanities, APH Publishing Corporation, Vol. 3, No. p. 2320-0310. 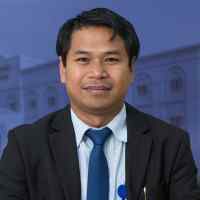 Kumar, S., (2013). 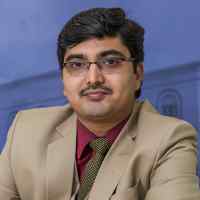 Winning strategy for business (Review of Book by Rajat Kanti Baisya), South Asian Journal of Management, Vol. 20, No. 1. Shanmuga, P. (2012). The Application of Value-Based Management: An Empirical Analysis On Indian Engineering Industry. South Asian Academic Research Journals, Vol. 2, No. 4. Shanmuga, P. (2011). Factors Influencing CSR Initiatives of the Banks in Oman: A Study Based on Stakeholders' Perspective. Journal of Management Research, Vol. 3, No. 2. Shanmuga, P. (2011). Resources Affecting Banks' CSR in Sultanate of Oman: A Stakeholders' Perspective, Electronic Journal of Business Ethics and Organization Studies Publisher: Business and Organization Ethics Network (BON), Vol. 17, No. 1. Ramkumar M., Prabhu , K.Venkateswara Rao K., Dr.A.Rajalingam A., & U.T.Sasikala U.T. ( 2015). Power Analysis In Nbti And Oxide Degradation Sensor. Aust. J. Basic & Appl. Sci., 9(11), 741-748. Singh I. P., Bhat P., & Gupta M. (2015). Design of miniaturized U-shaped parallel coupled bandpass filter. International Journal of Scientific & Engineering Research. Volume 6, Issue 5, 1029-1033. Singh I. P., Bhat P., & Yadav A. S. (2015) .Merits of Parallel Coupled Bandpass Filter over End Coupled Bandpass Filter in X Band. International Journal of Electrical, Electronics and Data Communication, Volume-3, Issue-5, 01-06. Eshol. N., Agnew, B., Mohammed A. Al-Weshahi, & Faithi Latrash. (2014). Exergy analysis of two-pass reverse osmosis (RO) desalination with and without energy recovery turbine (ERT). International Journal Exergy, x, 1-14. Faithi Latrash, Mohammed A. Al-Weshahi, Basim M.A.Makhdom, & Brian Agnew (2014).Energetic and Exergetic analysis of organic Rankine cycle powered by hot geothermal water. Journal of Energy and Power Engineering, 8, 1217-1231. Gupta M., Saurabh S.,Swamy N. K., & Singh I. P. (2014). Rectangular Microstrip Patch Antenna Using Air as Substrate for S-Band Communication. Journal of Electromagnetic Analysis and Applications. 6, 38-4. Mohammed A. Al-Weshahi, Alexander Anderson, & Guohong Tian. (2014).Organic Rankine cycle recovering heat from MSF desalination distillate water. Applied Energy, x, 1-10. Mohammed A. Al-Weshahi, , Alexander Anderson, & Brian Agnew (2014).Working fluid selection of low grade heat geothermal organic Rankine cycle ( ORC). International Journal of Thermal Technologies, 4, 1-12. Rajalingam A., & Bechtel Brabi. (2014). An Effective Bidirectional Network on Chip with Pipelining and Self Reconfigurable Channel. Research Journal of Applied Sciences, Engineering and Technology. 22, 4714-4719. Robert Singh, G., Sivapragash, M., & Anish, R. (2014). Optimizing the composition elements of Mg alloy in mechanical properties by powder metallurgy route followed by hot extrusion using Taguchi based Grey analysis. International Journal of Applied Engineering Research, 26, 9463-9466. Rajalingam, A., & Bechtel Brabi (2014). An Effective Bidirectional Network on Chip with Pipelining and Self Reconfigurable Channel. Research Journal of Applied Sciences, Engineering and Technology 22, 4714-4719. 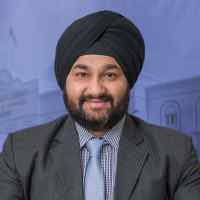 Singh I. P., Bhat P., & Yadav A. S. (2014). A Design and Realization of Miniaturized Low Pass Filter using Defected Ground Structure Technique with Wide Stopband. International Journal of Electronics, Communication & Instrumentation Engineering Research and Development. Vol. 4, Issue 1, 97-108. Mohammed A. Al-Weshahi, Alexander Anderson, & Guohong Tian. (2013). Exergy efficiency enhancement of MSF desalination by heat recovery from hot distillate water stages. Applied thermal Engineering, 53, 226-233. Mohammed A. Al-Weshahi, Alexander Anderson, Guohong Tian, & Basim M.A.Makhdom. (2013).Validation of simulation model for cogeneration power and water desalination plant. International Journal of Modeling and optimization, 3, 46-51. Gupta M., Swamy N. K., Singh I.P, & Dinesh C.S. (2012).Comparative Studies of Mobile Generations and their Future. International Journal of Advances in Science and Technology Vol. 5. Singh I.P., Gupta M., & Swamy N. K. (2012).The Miniaturized Bulb Shape Microstrip Low-Pass Filter Using Parallel Coupled Strip Lines. International Journal of Electronics, Communication & Instrumentation Engineering Research and Development.Vol. 2 Issue 4, 91-97. Radha Rani Gogula. (2015). Proceedings from IEEE ‘2015: The 8th IEEE GCC Conference and Exhibition, Muscat, Oman. Mohammed A. Al-Weshahi, Alexander Anderson, & Guohong Tian. (2014). Proceedings from ICAE ‘2014: The 6th International conference on Applied Energy. Mishra S., & Shanmugam D. ( 2013). Unified Power Flow Controllers (UPFC) and its design, a simplified approach. National Conference on Advanced Technologies in Electrical and Mechanical Engineering, Musana College of Technology, Oman. Mohammed A. Al-Weshahi, Alexander Anderson, & Guohong Tian. (2013). Proceedings from ICAE ‘2013: International conference on Applied Energy. Pretoria, South Africa. Amina Al Jabri. (2016). Effect of Cognitive Depletion on Password Choice. Learning from Authoritative Security Experiment Results Workshop. 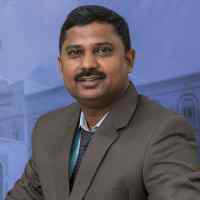 B.Prashanth Kumar. (2016). An Efficient Component based Software Architecture Model using Hybrid PSO – CS Algorithm. International Journal of Intelligent Engineering and Systems. Kumar Mohan. (2016). Construction of secured Cloud storage Architecture to enhance Security using secret Sharing algorithm. International Conference On Advances In Computing And Wireless Technologies(ICACWT’16) at PMR Engineering College, Chennai- India. 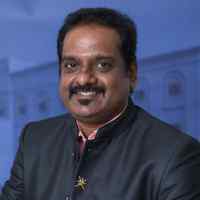 M. Justin Rajasekaran. (2016). Internet of Things: A survey on open issues and routing challenges. International Journal in IT and Engineering, International Journals of Multi Dimensional Research. 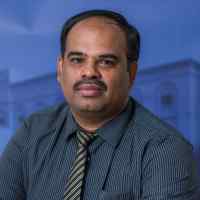 Prasanna Ranjith C., (2016). A Mathematical Model for LOCA-GAMNET. International Journal in IT and Engineering, International Journals of Multi-Dimensional Research. 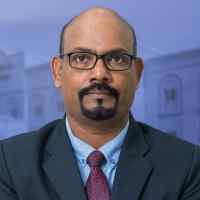 Prasanna Ranjith C., (2016). Location Aware Routing for MANET using Genetic Algorithm. International Conference on Computing Communication and Information Science , Bishop Heber College, Trichy, India. 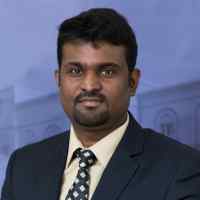 Prasanna Ranjith C., (2016). xMIDURR: A Quality of Service Technique to Save Energy in Mobile Ad hoc Networks. International Conference on Computing Communication and Information Science , Bishop Heber College, Trichy, India. 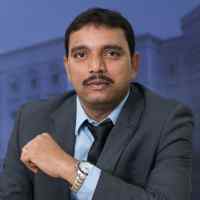 Rajesh N. (2016). Survey on Privacy Preserving Data Mining Techniques using Recent Algorithms. International Journal of Computer Applications. International Journal of Computer Applications. 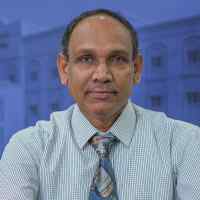 S. K. Chaubey (2016). Some Properties of Kenmotsu Manifolds Admitting a Semi-symmetric Non-metric Connection. International Mathematical Forum. Satyanarayana Bora. (2016). Anisotropic Bianchi Type-I Cosmological Model in Modified Theory of Gravitation. International Journal of Computer & Mathematical Sciences. 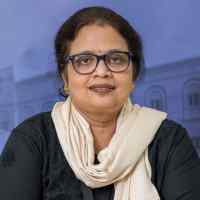 Satyanarayana Bora. (2016). On Axially Symmetric Cosmological model with strange quark matter attached. International journal of Physics and Mathematical Science. Shija. G. (2016). Gerber shiu function of Markov Modulated Delayed By-Claim type Risk Model with Random Income. Journal of Mathematical Finance. A.Saleem Raja. (2015). Compact BitTable based Adaptive Association Rule Mining using Mobile Agent Framework. International Journal of Computer Science and Software Engineering (IJCSSE). 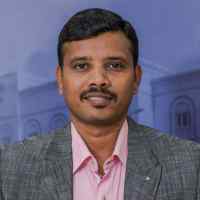 A.Saleem Raja. (2015). Compact BitTable based Distributed Association Rule Mining using Mobile Agent Framework. European Journal of Scientific Research. A.Saleem Raja. (2015). Compact BitTable based Secured Association Rule Mining using Mobile Agent Framework. International Journal of Applied Engineering Research (IJAER). Bala Dhandayuthapani Veerasamy. (2015). NativePThread on Android Platform using Android NDK. GASCIAN Journal of Science & Applications. Bala Dhandayuthapani Veerasamy. (2015). Performance Analysis of Java NativeThread and NativePthread on Win32 Platform. International Journal of Computational Intelligence and Informatics. 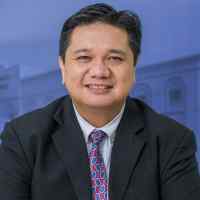 Lemuel Nalugon. (2015). Influence of information and communication technology utilization on teachers’ performance – towards enhancing technology-driven schools. Journal of Business and Management Studies. 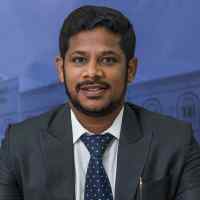 M.Justin Rajasekaran. Challenges in Mobile Application Testing: A Survey. International Journal of Control Theory and Applications, Serials Publications Pvt. 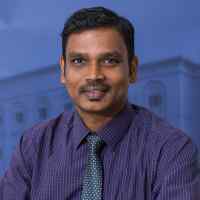 Ltd.
Prasanna Ranjith C. (2015). Optimizing Routing in MANET using Genetic Algorithms. International Journal of Applied Engineering Research (IJAER). 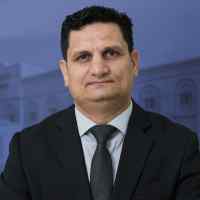 Rajesh N. (2015). Hiding personalised anonymity of attributes using privacy preserving data mining. Int. J. Advanced Intelligence Paradigms, Inderscience. S. K. Chaubey. (2015). On Generalized φ−Recurrent Kenmotsu Manifolds. TWMS J. App. Eng. Math. Satyanarayana Bora. (2015). Field of charged mass point in a scalar-tensor theory of gravitation. International Journal of Computer & Mathematical Sciences. Shija. G. (2015). Markov-modulated, Multi-threshold Dual Risk Model. Int. J. of Computational Economics and Econometrics. Muhammad Faheem Qureshi., Syed Mehr Ali Shah., & Zaka, B. (2014). Towards providing better Distance Education: A roadmap for universities. Journal of Strategy and Performance Management, 2, 67-78. Prasanna Ranjith, C., Mary Jane Aragon., & Calduwel P. (2014). Mobility Prediction in MANET Routing using Genetic Algorithm. International Journal of Innovations and Advancement in Computer Science, 3, 28-33. Prasanna Ranjith, C., Mary Jane Aragon., & Calduwel P. (2014). A Secured and Optimized Routing in MANET using Genetic Algorithms - Proceedings from Elsevier ’14: The 2nd International Conference on Applied Information and Communications Technology, Middle East College, Muscat, Sultanate of OMAN. Prasanna Ranjith, C., Mary Jane Aragon., & Calduwel P. (2014). A study on Optimizing Routing in MANET using Genetic Algorithm – Proceedings from The National Symposium in Business and IT, Musanna College Technology, Al Musanna, Sultanate of OMAN. Syed Mehr Ali Shah., & Bhaskar Reddy, M. V. (2014). Improving Quality of Service in Multimedia Applications by using Multi-Protocol Label Switching Network. International Journal of basic and applied sciences, 3, No.4, 163-169. Bhaskar Reddy, M. V., & Gharib Ismail Al-Matroushi. (2013). Multilayer Perception Neural Network Model to Improve Customer Relationship Management in Electronic Transaction Expansion in Banking Sector. i-manager’s Journal on Communication Engineering and Systems, 2,10-22. Muhammad Faheem Qureshi., Syed Mehr Ali., & Gharib Ismail. (2013). A Comparative Analysis of Multi-criteria Road Network. European Journal of Computer Science and Information Technology, 1, 27-47. Syed Mehr Ali Shah., Gharib Ismail Al-Matroushi., & Muhammad Faheem Qureshi. (2013). Usability Assessment of Open source application. IJARCS. 4, 2. Prasanna Ranjith, C., Mary Jane Aragon., & Santhosh Kumar Hinge. (2012). A Parallel Genetic Algorithm for Combinatorial optimization on cloud computing platforms – Proceedings from Tata McGraw-Hill Publishing ’12: The International Conference on Knowledge Management & Resource Sharing, WALJAT College of Applied Sciences in Academic Partnership with Birla Institute of Technology, Ranchi - Muscat Sultanate of OMAN. Syed Mehr Ali Shah. (2012). Measuring Round Trip Time and File Download Time of FTP Servers. Network and Complex Systems www.iiste.org, 2, 5. Bala Dhandayuthapani Veerasamy. (2013), An Introduction to Parallel and Distributed Computing through Java, Penram International Publishing (India) Pvt, Mumbai, India. Dayag, J. (2017). Codeswitching: Bridging the gap in Omani EFL classrooms. In A. Victor, S. Burns, & W. Rajan (Eds), ELT: Ideal vs. Reality: The Proceedings of Oman 16th International ELT Conference (pp22-27). Muscat: Sultan Qaboos University. Dayag, J.D. (2016). Integrating multimedia in teaching English to Omani learners. Journal of Teaching English for Specific & Academic Purposes, 4. Retrieved from http://espeap.junis.ni.ac.rs/index.php/espeap/article/view/321. Thirunagari, K.C. (2016). Technology and the English language classroom. In A.S. Al Zefeti, G. Medvedev, F.S. Al Maamari, & V. Tuzlukova (Eds. ), Language Center Forum, Spring 2016 (pp44-56). Muscat: Sultan Qaboos University Language Center. Samaranayake, S. W. (2015). Teaching oral English in Sri Lankan rural school context. International Journal of English Language, Literature and Translation Studies (IJELR), 2 (3), 26-39. Samaranayake, S. W. (2015). Influence of English as a powerful instrument of communication in Thailand. International Journal of English and Education (IJEE), 4 (4), 93-106. Samaranayake, S. W. (2015). Relationship between additional language learning and risk taking. International Journal of English Language, Literature and Translation Studies (IJELR), 2 (3), 364-367. Samaranayake, S. W. (2015). The Best Method in EFL/ESL Teaching. International Journal of English and Education (IJEE), 5 (5), 73-80. Samaranayake, S. W. & Sultan, B. (2015). EFL Language testing should go beyond the sentence level: The role of communicative language competence in language testing, International Journal of English Language, Literature and Translation Studies (IJELR), 2 (4), 1-6. Samaranayake, S. W. & Gabayno, J.J. (2014). The effects of writing intervention program on Foundation Level students at Shinas College of Technology, Oman. Arab World English Journal, 5 (4), 131-145. Pratap A., & Tasseron, M. (2012).Culture and learning-Bridging the gap. In McBeath, N. (Ed) Quality in ELT: Raising Pedagogical Standards: The Conference Proceedings of Oman International ELT Conference held in Muscat, Oman, April 18-19, 2012 (pp 229-245).Muscat: Sultan Qaboos University. Pratap, A., & Shezawi, R. (2011).Learner autonomy: Dream or reality? In McBeath, N. (Ed) Empowering Teachers and Learners: The Conference Proceedings of Oman International ELT Conference held in Muscat, Oman, April 20-21, 2011(pp 67-74).Muscat: Sultan Qaboos University.